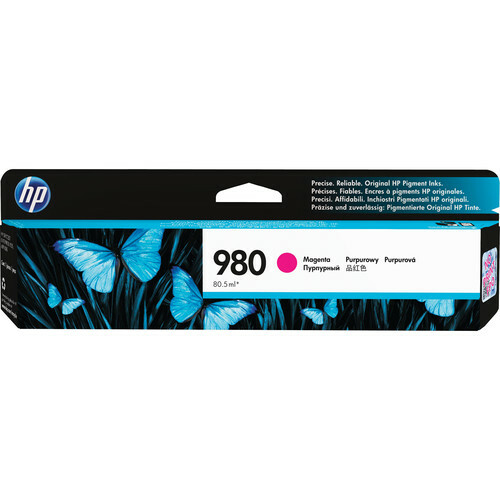 The HP 980 Magenta Ink Cartridge is a pigment-based ink that is compatible with select HP printers. It is pigment-based and has a 80.5 ml capacity, allowing it to produce up to 6,600 pages without having to change out cartridges. Box Dimensions (LxWxH) 9.1 x 1.9 x 1.1"